British giant David Price 22-4 (18) knows his career will be on the line this Saturday night when he meets Russian Alexander Povetkin 33-1 (23) for the WBA Intercontinental and WBO International titles on the undercard of the highly-anticipated heavyweight unification clash between Anthony Joshua and Joseph Parker at Principality Stadium in Cardiff, Wales. At 34 years of age the 6-foot-8 Price knows this is the last roll of the dice for him after a patchy professional career that seemed to get derailed every time he got a bit of momentum going. The Olympic bronze medallist and 2006 Commonwealth champion is viewing this fight as his own world championship bout against the 38-year-old Povektin whose lone loss came to then-champion Wladimir Klitschko by decision in 2013. “Povetkin is seen as probably the second best heavyweight around after Anthony Joshua so if I beat him, I’ve beat the man. 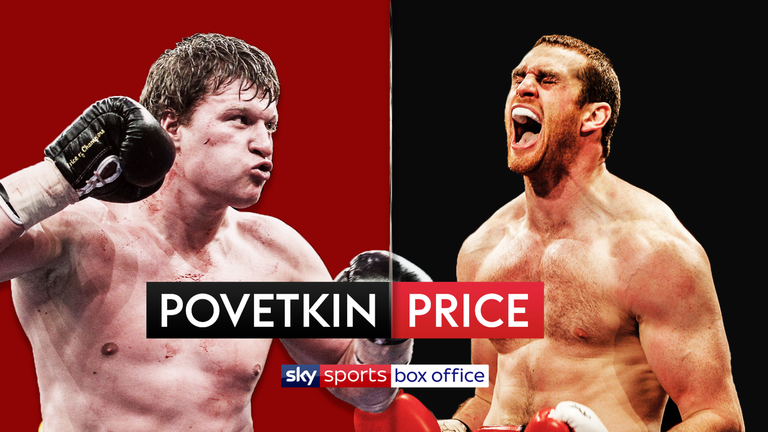 Then, Joshua aside, people will want to beat the man who beat the man,” Price told Sky Sports. The challenge for Price will be how he reacts to Povetkin’s power. With all four of the popular Liverpudlian’s losses coming by knockout, there have long been questions about Price’s ability to take a punch. Price say he’s not concerned by the risks. “This is why I’m in boxing, for the big fights like this,” he continued. “I’ve been longing for this type of opportunity and thinking it will never come along. “It fell onto my lap out of nowhere and I didn’t have to think twice about taking the fight. “Training has gone well, I’ve prepared as well as I can. All I have to do is go in and let nature take its course. Bookmakers however disagree, with some offering odds as long as 10-1 on a Price victory.